HSE has had a long practice of working with Architects and Building Owners to evaluate and design new uses for old buildings. 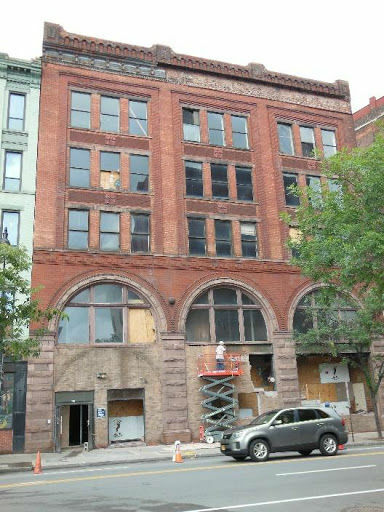 When some of those buildings have been sitting vacant for a period of time, the task can become a challenge. Before any old building can become a new vibrant part of the community, the condition of the building must be thoroughly evaluated. Historic buildings can present additional challenges. The characteristics of the building must be preserved, which can also dictate the types of materials that are used. This can be a balance between what is necessary to make the building safe and what materials were used at the time it was constructed. A good example of this would be heavy timber trusses that may have deteriorated from exposure to the elements. Today’s use of engineered lumber products could offer an economical repair method, but that could change the character of the structure. Other methods can be evaluated, such as epoxy fillers and carbon fiber reinforcement that do not change their appearance. The State Historic Preservation Office “SHPO” will often be involved with these projects and offer guidance on the types of repairs. As with any old building, the first order of business is to identify and stabilize any immediate threats. Deterioration from neglect can have serious consequences with any future development. The structure must be secured from further deterioration. Weather tightness and foundation deterioration are two areas where HSE has had plenty of experience. It is important to both recognize the problems as they exist, and determine the appropriate repairs. Water infiltration is probably the most prevalent cause of building degradation. Getting to the source of the problem is the only true way to correct it. 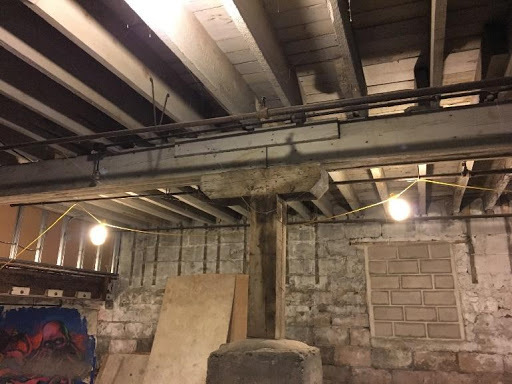 Both the New York State Building Code (IBC 2015) and the New York State Existing Building Code (IEBC 2015) will dictate the extent of structural rehab that takes place. Very often, a “Change in Use”, for example, will trigger an evaluation to determine if the building will meet current standards. Most buildings in New York State built prior to 2003 were not designed for seismic loads. While seismic loading may not be a controlling factor in many low-rise buildings, it must still be evaluated. There is also a need to make sure the structure can support the anticipated floor loads and snow loads. Very often, this requires some structural modification to achieve the future use requirements. There is also a need to comply with ADA requirements. When an elevator is needed, its placement can become critical so as not to disturb or diminish the structural integrity of the building. “The Hive” is a series of buildings on St. Paul Street in Rochester New York that were repurposed into apartment buildings. They were originally built in the early 1900’s to be used for manufacturing. Portions of the buildings had been converted to some office space and restaurants, but much of the space was unoccupied for a considerable length of time. This project presented many structural challenges due to previous neglect. HSE worked with Smith + Associates Architects and Developer/Owner Mr. Dan Morgenstern to convert this historic building into a desirable urban living experience. “127 Railroad Street, Rochester, NY” is now the home of Bitter Honey Mexican Restaurant. This building, also constructed in the early 1900’s, was likely used for light manufacturing. It is now a mixed use building that underwent a complete façade renovation as well as interior modifications that included the installation of a new elevator. 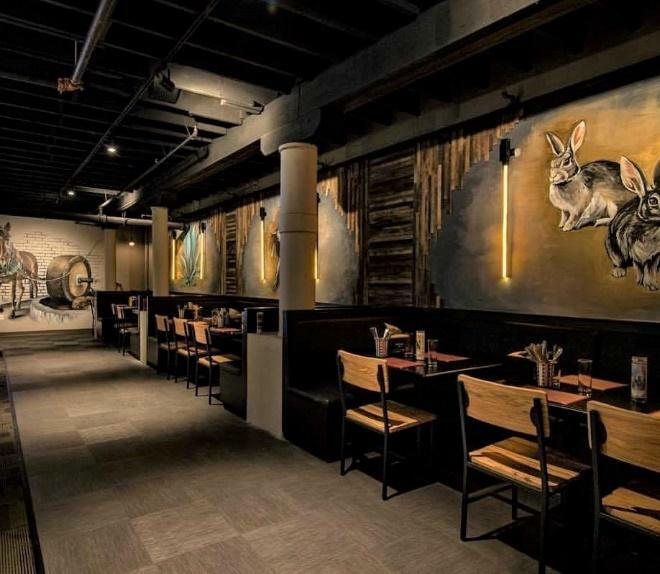 HSE worked with both HBT Architects and Hanlon Architects to transform this heavy timber and masonry building into a fine eating establishment. HSE is currently working with Passero Associates Engineering and Architecture to develop plans to convert an existing two-story Sears building into a Senior Living complex. 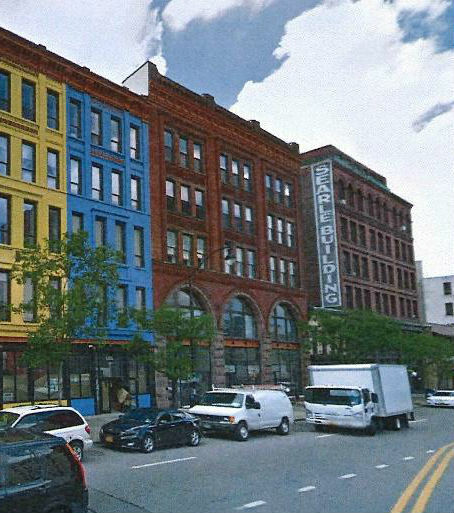 This exciting project will be one of the first of its kind in the Rochester area. The project will include several open air courtyards to create natural light for the interior living spaces. Due to the extent of the planned renovations, the building structure will need to be compliant with current codes. This will likely require added bracing and shear walls to resist lateral loads. The adaptive re-use of this building could serve as a model for other buildings as the changes in landscape for large retailers have developed over the last few years.